From small intimate affairs, to receptions of exceptional grandeur, each wedding at Hazelton Manor is treated with the same commitment to food quality and service excellence. Our venue is equipped to host wedding receptions from 100 to 800 guests. 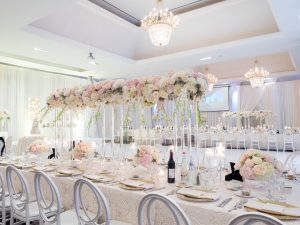 Just north of Toronto in Vaughan, Hazelton Manor is perfectly designed with two ballrooms.